Great as a simple dip, or as a topping for tacos, burritos, or enchiladas. 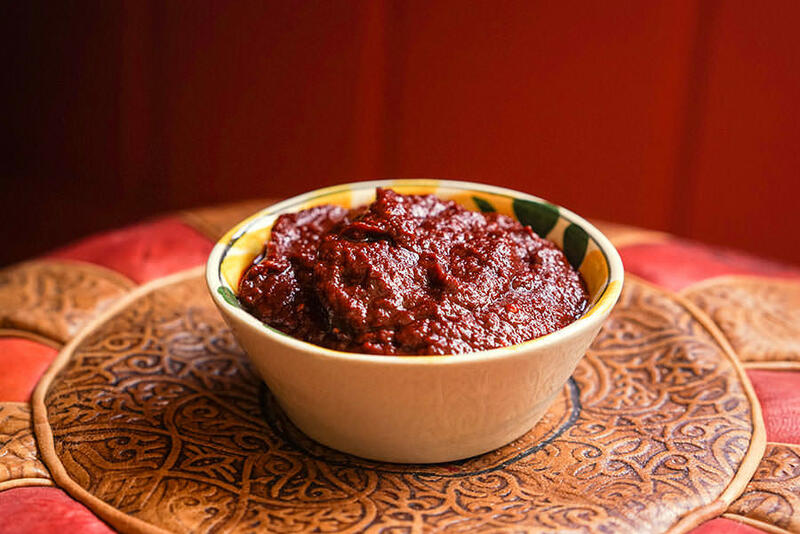 Try basting pork or chicken in Red Chile Sauce as well! 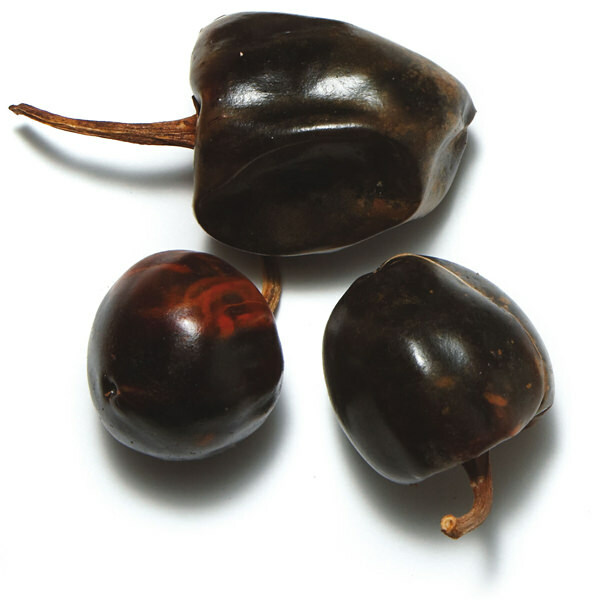 A hearty, multi-layered showcase for the magnificent chile Guajillo. 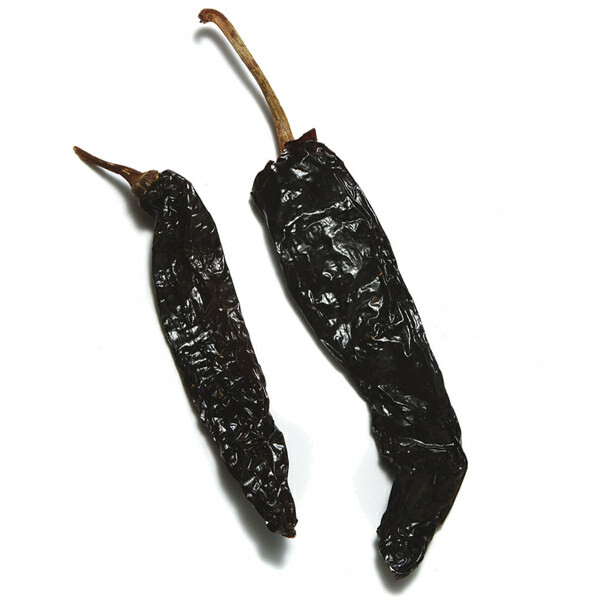 Buttressed by the warm, supple flavor of chile Ancho, the Guajillo provides a pervasive warmth to the dish. Blackening the vegetables adds further depth to the dish. Put a large cast-iron pan on high heat. Lie the chilies on the pan and toast until soft and pliable, about 15 seconds each side. Place the chilies in a bowl and cover with water. Set aside. Place tomatoes on the pan and char them on all sides until the skin is black and the tomatoes are cooked inside, about 15 minutes. Set aside. Repeat for onions and garlic, cooking until black on the outside, about 4-5 minutes. Set aside. Alternatively, you can broil tomatoes, onions, and garlic in an oven set to 500°F. Peel tomatoes and garlic when they are cool enough to handle. Remove as much blackened skin as possible, but it’s OK if a little remains: it’ll help color the sauce. Chop roughly. 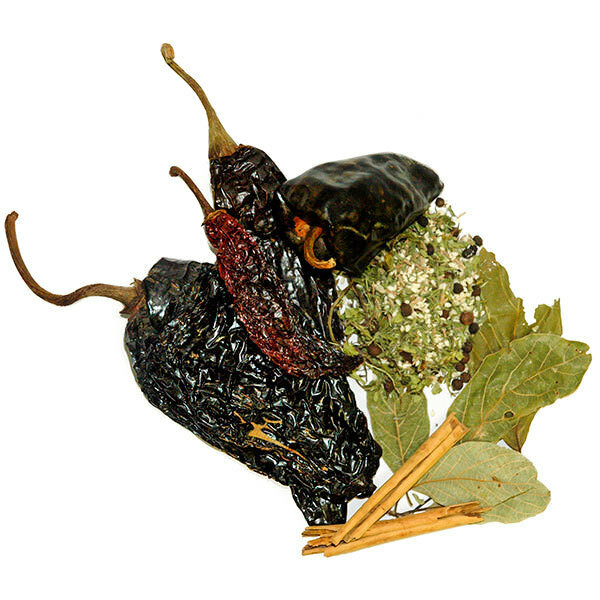 Remove stems and seeds from chilies. Chop roughly. Place all ingredients in a blender or food processor and purée. Add water if necessary (you can add the water the chilies were soaked in for additional flavor, but be careful, it can be a little bitter).